Dec. 2011 - International Safety & Supply provides Mitsubishi with 6 Vertical Escape Chute Systems. Jan. 2012 - Coastal Spill Supply, a division of International Safety & Supply was awarded a distributorship for Absorbents and Spill Kits. Sept. 2012 - International Safety & Supply and Risk Safety Systems delivered 2 IECS integrated escape chute systems for ENSCO’s 8500 series semi-submersible rigs. LTD who will market ISS products in Trinidad. Jan. 2013 - International Safety & Supply is now manufacturing fiberglass storage cabinets under the ISS Brand in Houston, Texas. April 2013 - ISS is now offering the MAS-67 fully enclosed gravity deployed escape chute system designed for North Sea Applications. International Safety & Supply Surveying and Installation Services helping you to stay safe and compliant. International Safety & Supply can provide professional Surveying and Installation Services Worldwide. Our team of surveyors and installation technicians will visit your asset, asses your particular requirements and prepare a comprehensive survey, in some cases we prepare the survey from a Technical Drawings, MTO, or Photo’s. Offshore - Onshore, Petrochemical, Marine, Ship Yard and General Industry. Upon receipt of a customer enquiry ISS will request the opportunity to meet with you in order to fully discuss your particular requirements. The first meeting is used to introduce ISS and obtain sufficient information to meet your particular needs. Upon request ISS will supply a professional surveyor who will visit your asset, fully asses your needs, this ensures you remain compliant with all governing bodies, including, OSHA, ANSI, IMO, SOLAS, US Coast Guard, FPA, MMS, HSE and any other governing bodies worldwide. As part our full-turn key service ISS provides Coiled Pipe Markers, Anti-Slip - for ladders, gangway, stairways. Photo luminescent Low Level artificial lighting for accommodation units, offering low level lighting that provides illuminated escape in the case of Fire, Photo luminescent is also available for any type of safety sign. ISS can provide surveying and installation services for our complete range of escape chutes. From Commercial, Residential, Marine, Offshore/Onshore, our surveyors are fully trained and provide a comprehensive survey based on each customer’s requirements. As with Safety Signage Systems, ISS can provide a desktop survey from Technical Drawings, MTO or Photo’s. However ISS always recommends a physical survey to ensure accuracy. We then provide a team of fitters who install and test the Escape Chute, Donut Descent Device or Ladder System, training of key personnel is also provided. ISS can provide annual maintenance contracts, whereby we visit your facility, carry out a full safety inspection and service. A full inspection report is provided, please contact us for an annual maintenance price. All Surveyors and Fitters are fully qualified and trained. 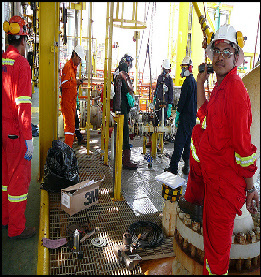 For offshore work, only surveyors and fitters who hold survival training are deployed to the facility.